An AmFAR Book published in association with Seven Stories Press. 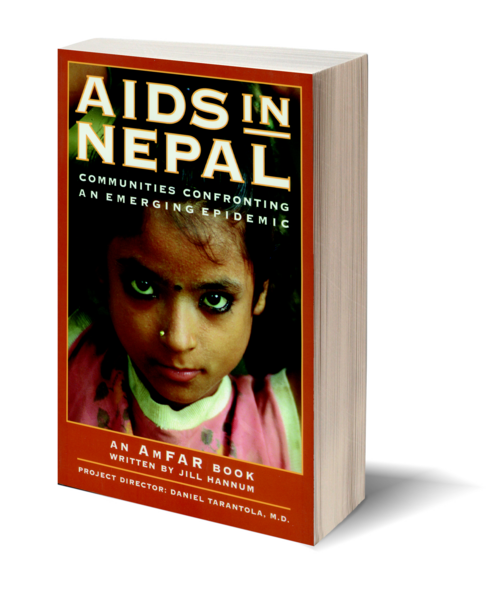 In 1993, the American Foundation for AIDS Research (AmFAR) began a three-year, community-based AIDS prevention program in 17 sites scattered throughout the Himalayan Kingdom of Nepal, with the objective of enabling people to protect themselves and their sexual partners against HIV/AIDS through information, education, and access to means of prevention. The program also aimed to reduce people's individual and collective vulnerability to HIV/AIDS through the teaching of literacy and other skills needed for alternate income generation. In AIDS in Nepal: Communities Confronting An Emerging Epidemic, Jill Hannum presents the voices of people who are at the forefront of the response to HIV/AIDS in Nepal. She reveals the many discoveries that the community-based organizations made through their interaction with young people and adults across the country, as they opened a dialogue on sexuality and disseminated information on safer sexual behavior in culturally appropriate ways. This book is a powerful resource for individuals and organizations concerned with community-based health and social development programs, both within and outside Nepal. It carries a message of hope as communities and those who support them demonstrate how they can respond effectively to an emerging epidemic. Jill Hannum is a freelance writer and editor focusing on issues related to HIV/AIDS.